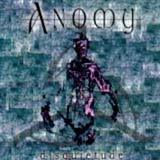 Anomy is a band that describes their music as "progressive dark metal." The band is a trio from, of all places, Colorado. As the promo sheet indicates, the band members come from diverse backgrounds: a preschool teacher, a professional figure skater, and a chemist. The band has been around since 1992 and the members of the band have grown up together while focusing their energies into Anomy. If there is one aspect of Anomy's music that stand out above all else, it is the emotional impact of the music. From the very beginning of the CD, the listener is engulfed in the melancholic, sometimes angry tone of the music that is delivered with passion. Disquietude would be the perfect album to listen to after a bad day at work or when the entire world seems to be out to get you. The lyrics deal with painful and negative aspects of life, leading the listener to reflect on the dark side of humanity and our very existence in general. If life seems to be attacking you with negativity from all angles, I sincerely believe that you will be able to relate to this music. Disquietude is built around intelligent lyrics and complex song structures. The dark, heavy guitars serve as the forefront of the sound, but catchy riffs and melodies aren't all that Anomy relies on to construct a song. Diverse, yet precise drum work coupled with time and tempo changes ensure that the music never becomes dull or repetitive. Vocalist Brent Fox is able to adapt his voice to the music depending on the mood. You will here some angry growls here and there during the most intense and angry moments, while some of the slower, somber tracks have a prevailing gothic atmosphere. I do have one small complaint about the production / mixing, however. At times, the vocals are buried in the mix, almost inaudible. With such interesting lyrics, it's a shame to not be able to hear them at times. Other than that, the production is raw, yet it is quite acceptable considering this is a self financed effort. There isn't a bad song in the batch. The band has injected each song with intense passion and backed that up with the necessary musicianship and quality songwriting to demand your full attention beginning to end. Disquietude is an imaginative album that takes the listener into their dark, oftentimes bitter world. This album will demand your full attention: it is not designed to be "background music.". With the introspective lyrics and diverse song structures, Disquietude has a lot to offer the listener. I've certainly heard much less talented bands secure records deals in the past. Although Colorado isn't exactly the best place in the world for a metal band to gain exposure, Anomy have been actively promoting themselves online and with self funded tours. Check out their website for more information (linked above).